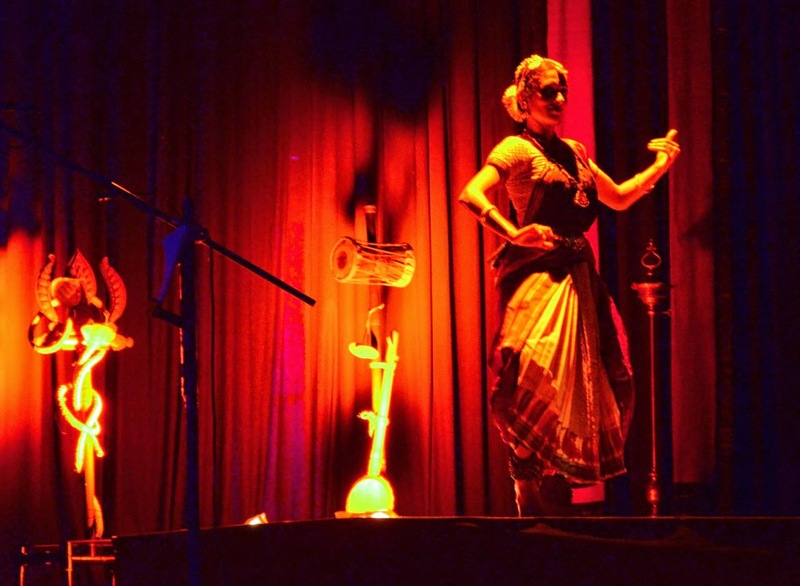 'Fire and Ash' is a confluence of three art forms - music, dance and theatre. The theme focuses on the destruction of negative forces and rejuvenation of positive energies. Conceived and directed by Gowri Ramnarayan, playwright, theatre director and founder of the theatre group JustUs Repertory,this production was premiered on Nov. 14, 2014 at Bharatiya Vidya Bhavan for Kartik Fine Arts. Today the show is again being staged at Kalakshetra at 6 p.m. 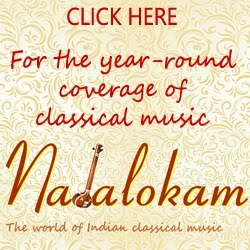 Inspired by Indian poets of the olden era, Kalidasa in Sanskrit, Appar and Muthuthandavar in Tamil, Akka Mahadevi in Kannada, Surdas in Hindi, Shahaji Raja in Telugu and Rabindranath Tagore in Bengali, this production Fire and Ash sees prehistoric archetype Siva as a contemporary metaphor to make sense of the world to find ways of empowering the individuals and the community. 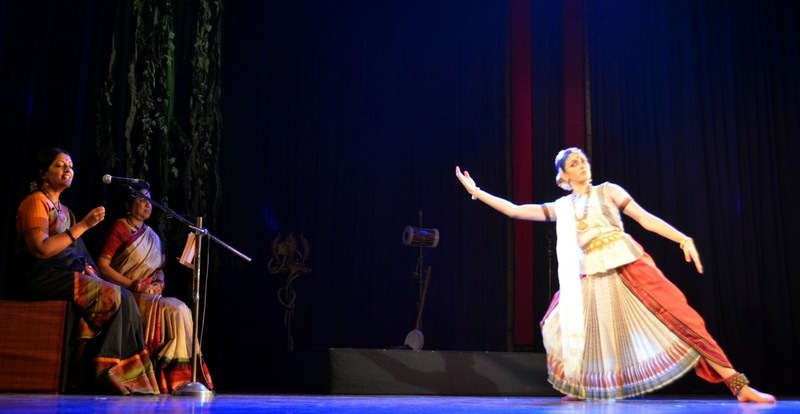 With Dance and Choreography by young dancer Anjana Anand, Vocal and Paintings by musician Savita Narasimhan and Bharatanatyam by Indu Nidheesh and Nidheesh Kumar (Alumni, Kalakshetra), 'Fire and Ash' is once again on stage at Rukmini Auditorium, Kalakshetra, Tiruvanmiyur. 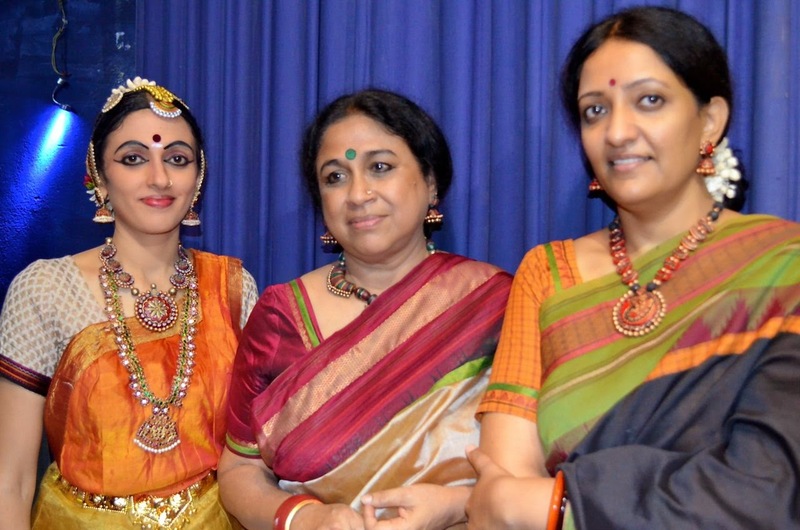 Here are a few photos shot at the premier at BHaratiya Vidya Bhavan by L. Baba Prasad. 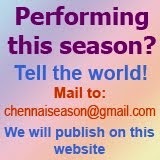 The 'real' season begins in Chennai! Simple person. Great music. Maha award.